Along with Ha Long Bay and Hoi An ancient town, Sapa is definitely the most tourist attraction for many tourists when they go on a trip to the north of Vietnam. Sapa is a wonderful place in Vietnam with many outstanding sceneries and unique cultures. Tourists can visit Sapa all year round; however, to have the best Sapa tours, both time and places should be checked and considered in advance. Here is some useful information for tourists to refer before the trip. Travelers can visit Sapa at any time, however, the most suitable time to visit is from March to May or from September to November. In these time, the weather in Sapa is ideal for walking, hiking, mountain climbing, and trekking. Sapa is most beautiful in spring when the apricot, plum and cherry flowers bloom splendidly. At the same time, Spring is the season of festivals and markets. The young men and women dress colorfully and go to the markets or festivals to meet, date and seek sweethearts. There are many local goods and products to be exchanged in the spring markets. 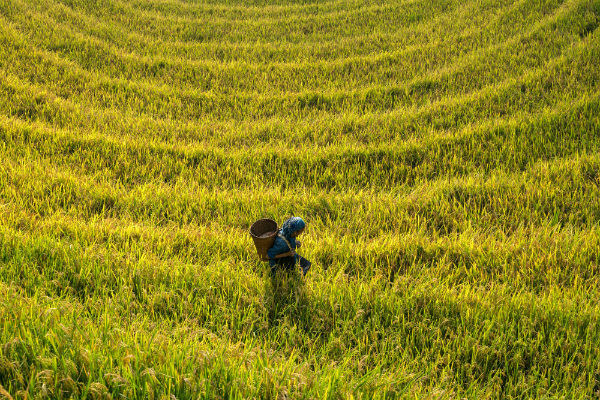 In addition to climbing, trekking, walking or trading, the visitors can choose to witness the terraced fields of grain in yellow. In particular, if coming there from April to May, tourists can have a chance to enjoy the valley of beautiful blooming flowers and green fields. From March to May, Sapa is cool, dry and cloudy. Tourists even can have the best Sapa tours with the clouds flying in front of their eye or through the window of the hotel. Moreover, this is the wonderful time to see and admire the green terraced rice fields. From September to November, Sapa gets a beautiful autumn with golden-like grain, the sun, dry air and rather cold. The dry air and little rain enable tourists to walk and trek down to the small village and to enjoy the unspoiled beauty of terraced fields. The tourists can go to Sapa at the end of August and September to see the ripe yellow grain on the terraced fields. In the winter from December to February, Sapa is pretty cold, at night in particular. If lucky enough, the travelers can watch the snow falling in Sapa in some extremely cold days. However, the service prices, hotels or homestay in these days can be a bit more expensive and crowded, it is better to check or book accommodation in advance. For those love trekking, September to November or March to May will be the best time to visit. On the other hand, the best Sapa tours to see the ethnic minorities cultivating the terraced fields is from April to May. Furthermore, in April to May, tourists can see the blooming peach flowers and green pastures. September and October in Sapa are ripe grain season with bright yellow, which is the most beautiful time for traveling. The temperature ranges from 15 to 25 °C with no rain, which is wonderful for sightseeing. Going in the middle of gold color crossing the green hills can be the gorgeous moment in life. For people who fall in love with trekking, Lao Chai village will be a perfect choice. Lao Chai villages have approximately 100 families of Blank H’Mong people with special points of culture. 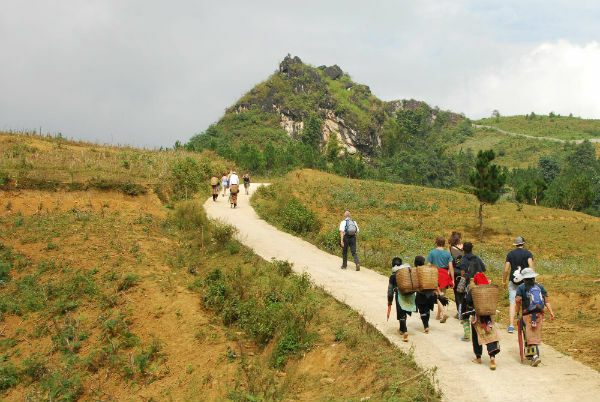 This village is also the starting point of Muong Hoa Valley – one of the most beautiful valleys in Sapa, and then tourists can continue the trip to Ta Van village to experience the daily life of one ethnic group – Giay. Giay ethnic groups, until now, still keep many beauties of local culture as ancient literary works or long-standing festival. Moreover, the road from Lao Chai to Ta Van has many magnificent scenes – the beauty of an unspoiled mountainous area in Vietnam. The best Sapa tours should include Cong Troi (The Heaven Gate). Far from about 18km to the North of Sapa, located on the peak of Tram Ton pass on Hoang Lien Son mountain range, Cong Troi has a pristine overview that brings a sense of satisfaction for travelers. Tourists can stand on the high and majestic mountains, in particular, the Fansipan – the highest summit of Indochina to enjoy the beautiful scenery of nature with Abyss, wild plants, large and gorgeous valleys along winding roads. Standing on the highest points of land will completely minimize the gap between people and nature and make the best Sapa tours and the most memorable moment in life. Bac Ha market is rather far from Sapa (about 80km), however, the travelers should not miss this destination. Bac Ha is the clearest and lively picture about cultural identities of ethnic groups living in the Northwest of Vietnam. The market is organized every Sunday with many ethnic people as H’Mong, Dao, Tay, Nung… coming for exchanging items as animals, brocade, products and jewelry… Bac Ha market is one of the markets that still preserve many outstanding traditional features despite the changes in business. The tourists can have changed to see the attractive colorful costumes of the ethnic groups and even listen to the voice of local people with the sound of bamboo flutes. The foreigners can try eating a special kind of soup pan – Thắng Cố with local people and understand how people live and work. 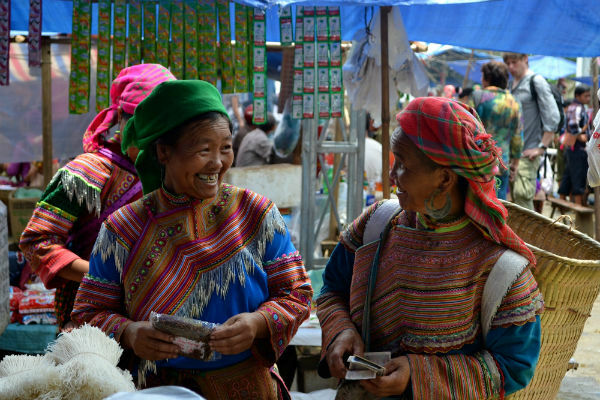 The bustling atmosphere of people and things in Bac Ha market will definitely create the unique elements of a peaceful mountainous market. Being the highest summit of Indochina, Fansipan is absolutely worth to be an ideal place for trekking. The local name of Fansipan is “Hua Xi Pan” which means “the tottery rock”. In 1905, the French came, told the height of Fansipan and then named it as “the Roof of Indochina”. At that time, there were not many people climbing to the top, but the time’s gone, the travelers come here more and more. Standing on the Fansipan peak, the tourists can have the majestic overview of Sapa and see the sights of flora and fauna of Hoang Lien Son mountain range. The foreigners would like to travel Fansipan from October to December since the weather is a bit dry, free from the heavy rains. On the other hand, the local people prefer to get there from February to April because the weather is not so cold. In general, the summit of Fansipan can be visited all year round but the best time for visiting and trekking is from February to the beginning of the March when the flowers flourish beautifully and the weather is nicely ideal to get the best Sapa tours. 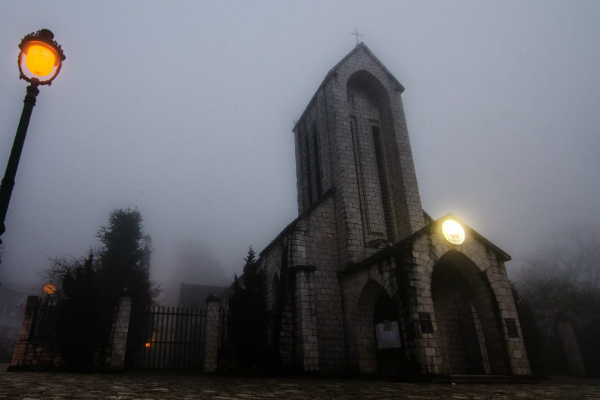 To enjoy the best Sapa tours, travelers must once come to the ancient stone church. This church was constructed in 1895 undergoing many ups and downs as well as regimes but it still stands proudly as an integrity ancient symbol. In recent years, the church has been enhanced to become an imperative image of Sapa. Furthermore, the travelers can explore a curious destination of Sapa – the ruins of a monastery in Ta Phin. The moss and grass around the monastery together with the mysterious aura will definitely attract people to discover. There are many other tourist attractions in Sapa that visitors should have a go. For example, Cat Cat village – an old village of Hmong ethnic minority, Ta Phin Village, Ham Rong mountain or the Silver Waterfall (Thác Bạc). All in all, Sapa is a magical misty city immersing in the floating clouds with the cool and fresh air. A cruise to Sapa is unquestionably wonderful with numerous cultural activities and unspoiled beauty. To have best Sapa tours, travelers should have a serious consideration about the season, destinations and personal taste before the trip. What are the most attractive tours in Sapa?